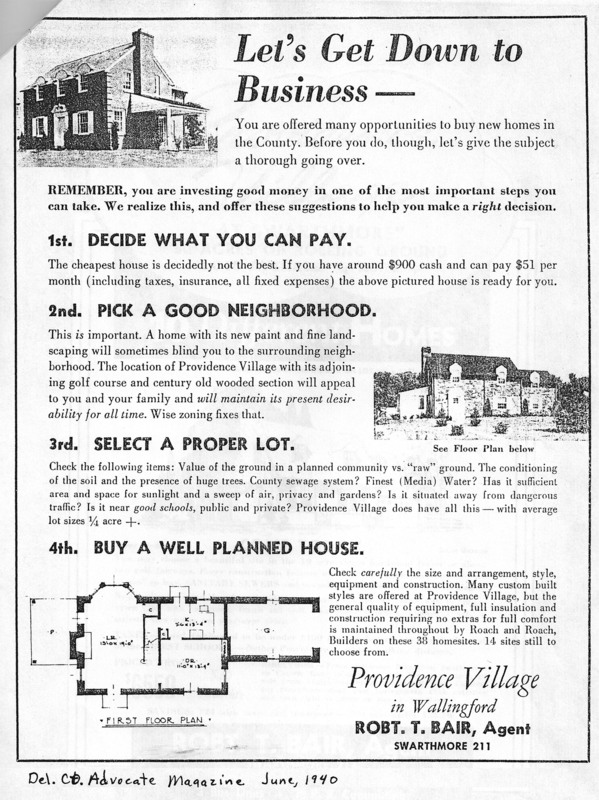 Do you live in Providence Village? 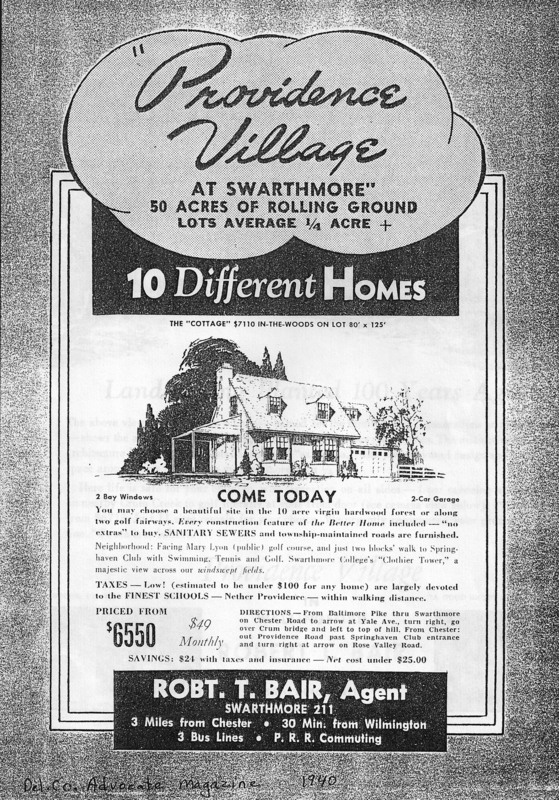 Did you know your neighborhood had a name? 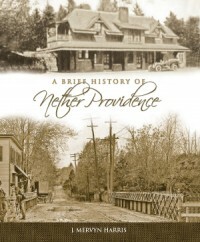 The corner of Providence and Rose Valley Roads was known as Palmer’s Corner. It marked a corner of the Palmer-Ryan farm. 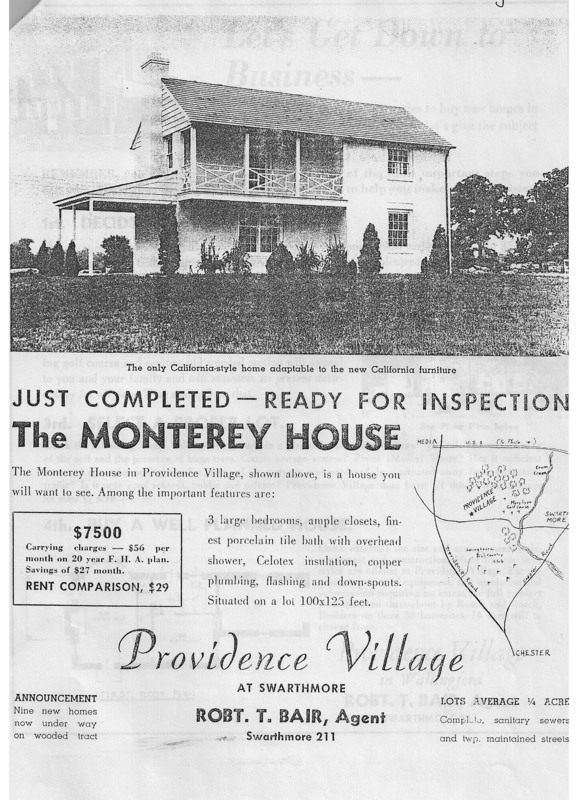 In 1939, on 50 acres of the former farm, at Rose Valley Road and East Country Club Lane, Roach and Roach Builders began construction on Providence Village. 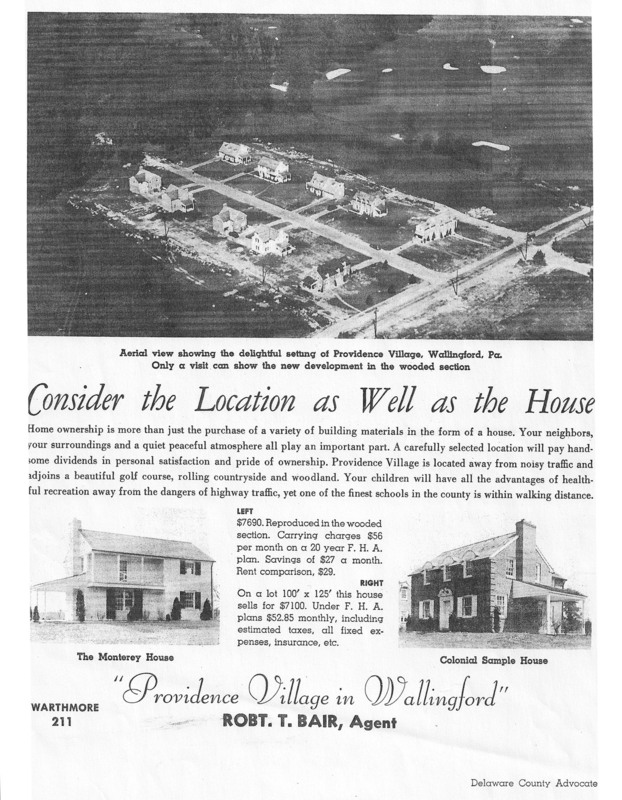 The parcel was divided into 38 homesites of approximately 1/4 acre each. 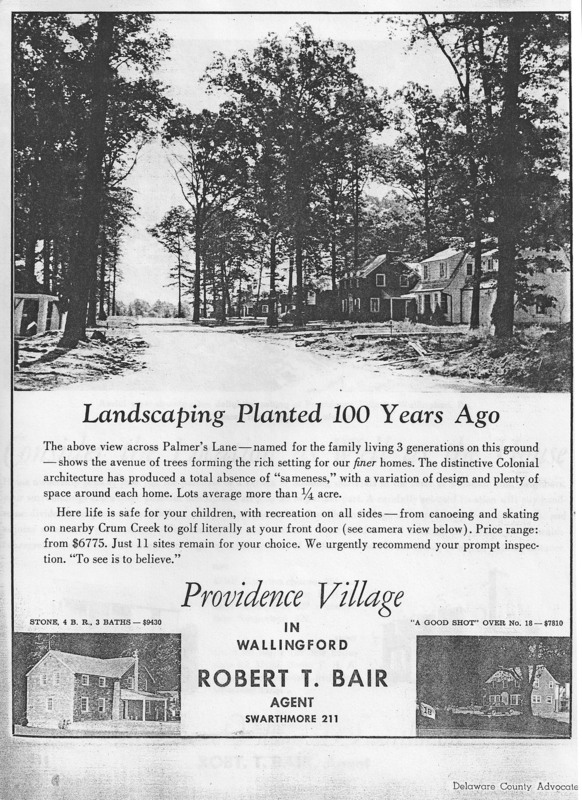 The developer seemed to be of two minds when marketing the location; in some ads calling the neighborhood “Providence Village of Swarthmore” and others calling it “Providence Village in Wallingford.” In every ad, the bucolic setting was described – “The location…with its adjoining golf course and century old wooded section will appeal to you and your family and will maintain its present desirability for all time.” The adjoining course was the public Mary Lyons Golf Course which had not yet been developed. Private Springhaven Club (at that time offering swimming, tennis and golf) was just to the south. The wooded section was described as “ten acres of virgin hardwood forest” within which were to be constructed the builder’s “finer homes.” With nothing but wide open space between, the College’s Clothier Tower was “a majestic view across our windswept fields.” That majestic view was to last about ten years, when the next development began construction. If you had a $900 down payment and were able to handle $51 per month (including mortgage, taxes, insurance and “all fixed expenses”), you could afford a home in Providence Village. 1939 was the end of The Great Depression. A 1938 Plymouth Road King sedan cost $685 and the average American salary was about $1,730. Calculated using the Consumer Price Index, $51 in 1939 would be $788 in 2010.